California became the first state to adopt its own data privacy law, and we at sf.citi are here to tell you what it all means. 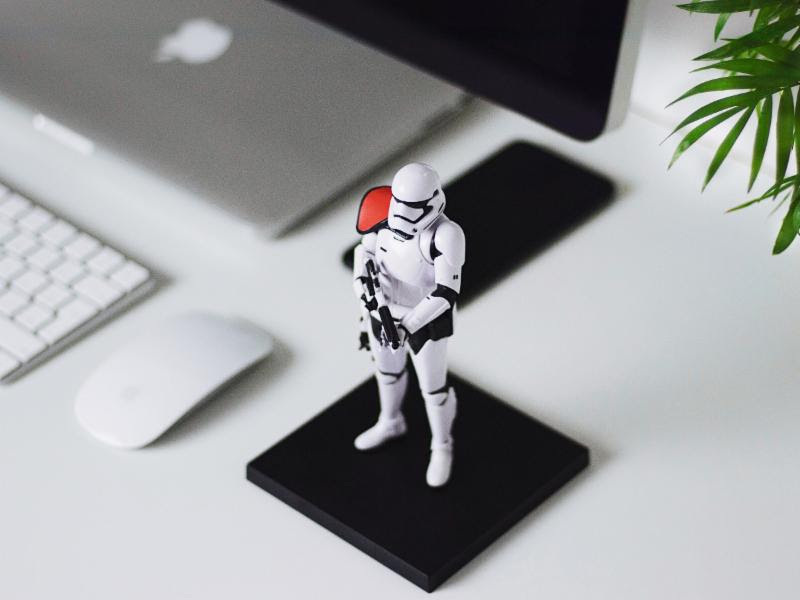 Perhaps you’ve already heard of the General Data Protection Regulation (GDPR), or the set of regulations (and trending acronym) established by the European Union to protect consumer data. Never one to stay on the sidelines and home to many of the tech companies featuring in current conversations around data privacy, California put its own unique spin Europe’s data regulations. So what regulations does AB 375 hold for California businesses, customers, and sf.citi members? You can find out in our latest blog, plus read up on plans to go even more local with a pending San Francisco privacy initiative. Got a tech policy issue you’d like sf.citi to unpack for you? Let us know by emailing zach@sfciti.org. Throughout her inaugural address, Mayor Breed outlined priority areas for her mayoral tenure. She called for mental health reform via safe injection sites and treatment on demand. She called for greater and faster housing construction. She called for more police officers to control crime, all while developing better relationships between the Police Department and the city’s communities. Mayor Breed also said she had a “personal commitment” to ensure job training for San Francisco’s young people through paid high school internships—something sf.citi is already working on (see below)! As far as SF street cred goes, Mayor Breed has a lot of it. A native San Franciscan, Mayor Breed grew up in public housing in District 5—the same district for which she would later serve as Supervisor. At the same time, Mayor Breed has made history as San Francisco’s first African-American female Mayor. With this title, she has also broken the pattern of male-dominated leadership for the United States’ 14 largest cities. For the past seven years, sf.citi has partnered with the San Francisco Police Foundation to run Future Grads, one of San Francisco’s first tech internship programs for local high school students. Since its start, city leaders like former Mayor Ed Lee, SV Angel Founder Ron Conway, and current Chief of Police Bill Scott, have credited Future Grads with developing local youth to fuel San Francisco’s fast growing tech workforce. 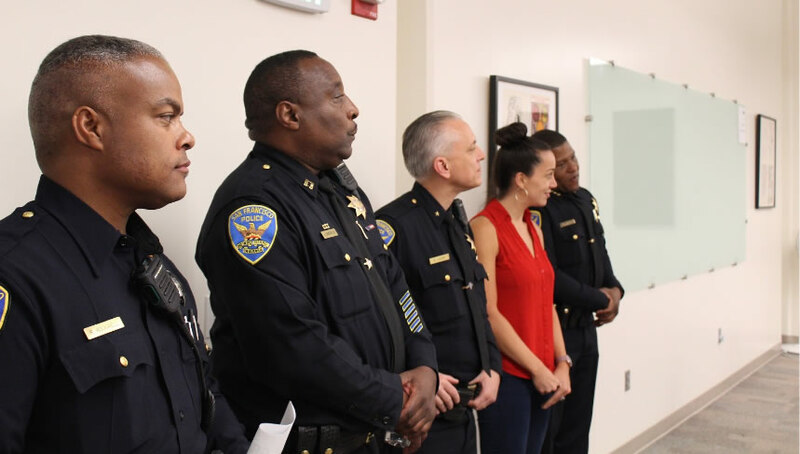 Looking to better understand how the program has evolved since its founding, the sf.citi team sat down with SFPD Sergeant Raphael Rockwell and Officer Sondra Reynolds, both of whom have helped carry on the Future Grads tradition. If you want to get involved in Future Grads, become an sf.citi member today! Conversation continues around the digital divide in San Francisco, with some studies showing up to 100,000 residents without home internet access. As you likely heard in the news, some members of City Hall have proposed a government-run internet network. While we at sf.citi strongly believe in providing internet access to empower all San Franciscans to compete in today’s innovative economy, we believe that a tech solution to a tech problem—rather than a government solution on the taxpayer dollar—is the right way forward. Many of our member companies have partnered with city and state governments across the country to provide public-private solutions to close the digital divide, and we strongly believe there is a huge opportunity for San Francisco to take advantage of these partnerships for the betterment of all residents. Look out for more to come. California net neutrality protections are making a comeback. Many Californians thought net neutrality was dead in the water after Senator Scott Wiener’s proposed bill to protect net neutrality—SB 822—was gutted in committee. After some negotiating, however, the bill will be joined with another and voted on by August 31. Learn more here.